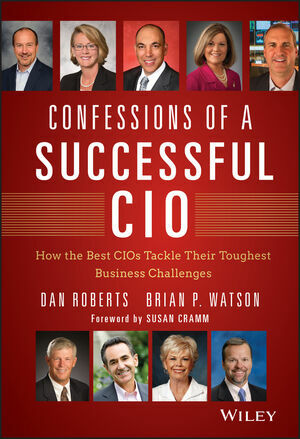 In Confessions of a Successful CIO: How the Best CIOs Tackle Their Toughest Business Challenges, current and future CIOs will gain invaluable perspectives from the stories of today's best IT leaders. These acclaimed leaders—each profiled in their own chapter—explain the toughest business decision they had to make, and how the outcome influenced and impacted their leadership style. These in-depth anecdotes take the reader inside some of the most challenging business climates imaginable and chronicle how these elite CIOs made the decisions that mattered. Explore how these top-flight CIOs make critical decisions around strategy and IT to not only benefit their companies, but in some cases, to save them from becoming obsolete. Confessions of a Successful CIO is the new playbook for learning how to take risks, respond to crises, and create more value from IT. Each chapter presents a different challenge, giving present-day and future IT leaders the chance to examine, analyze and learn so that they can be just as successful as the CIOs they're reading about.